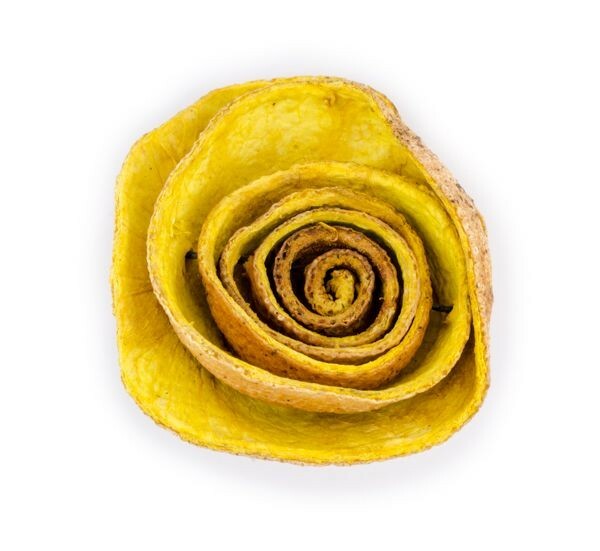 The orange peel roses handmade by women artisans in Colombia were the inspiration for this artisanal rose pin. 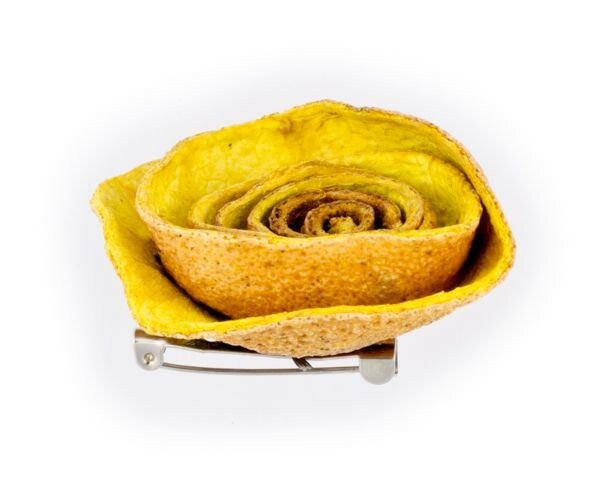 Discarded orange peels are collected from street vendors and thoroughly cleaned before undergoing a sun drying, shaping and dying process that results in the beautiful wearable rose. The roses are then combined with seeds, vegetable ivory, palm and other natural and recycled materials to create versatile, eco-friendly jewelry and fashion accessories. This pin can add fun and flourish to scarves, hats, sweaters, jackets and more.